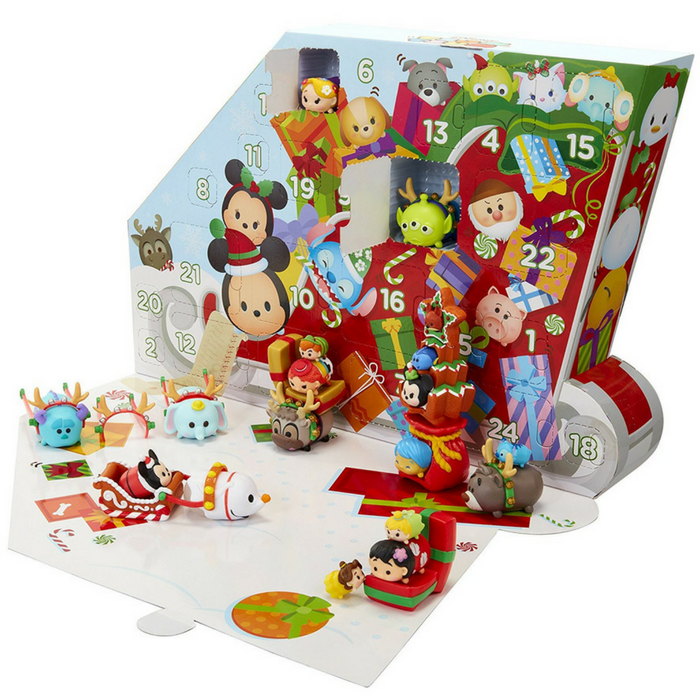 Tsum Tsum Christmas Advent Calendar Just $39.99! Down From $70! PLUS FREE Shipping! You are here: Home / Great Deals / Amazon Deals / Tsum Tsum Christmas Advent Calendar Just $39.99! Down From $70! PLUS FREE Shipping! Score this Tsum Tsum Christmas Advent Calendar at Amazon for just $39.99 down from $69.99 PLUS FREE shipping! Enjoy counting down the 24 days until Christmas with the Disney Tsum Tsum Advent Calendar. Open a new window each day to reveal a surprise Tsum Tsum figure or accessory and create a sleigh full of presents pulled by adorable Tsum Tsum reindeer! There are 18 Tsum Tsum figures: 6 large, 6 medium, 2 of which are in holiday attire, and 6 small, as well as 6 holiday themed accessories, and 6 seasonal headpieces in a holiday sleigh themed package. Each holiday accessory can be used to stack a large, medium and small Tsum Tsum figure on its own or used to build out an even taller stack with other accessories! Headpieces fit on each large Tsum Tsum figure for the perfect holiday decoration. connect them all and watch them go! Collect, stack and display your favorite holiday themed Disney Tsum Tsum characters! Enjoy counting down the 24 days until Christmas! Open a new window each day to reveal a surprise! Collect, stack and display your favorite holiday themed Disney Tsum Tsum characters!